"I would tell them they would be highly satisfied." "This was my first visit and I came away impressed by the reception, as well as the service." "I would highly recommend Atkins to anyone needing car help, and let them know that Atkins is great at what he does and honest." "Mr. Atkins and his crew, truly love cars. Had our 1977 pontiac bonneville repaired. She now runs like it's June 1977 when she first came off the line. We just wish the gas prices were the same. Excellent an good quality work they offer. Thank you again for putting old and hopefully new memories back on the road." 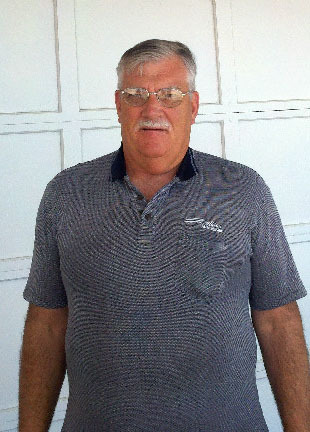 "I am very satisfied with the service completed on my '67 Chevy c20. I called an was told to bring it in, the work was completed that same day. The Friendliness and awesome customer service was topnotch!! I would highly recommend Atkins Auto Repair to anyone needing car repair. Great people excellent service, all my future repairs will be at this shop!!! Thank you again for the wonderful truck service and friendliness! !😊😊"
"Atkins auto repair has provided me top of the line service in the past and on my most recent visit on my vehicle repair. The auto technician, Neal, is absolutely terrific. Neal can fix any problem with any make or model of vehicle. They will give you a fair price. I will be bringing my other vehicle in for service soon." "The customer service I was greeted with as soon as I walked into the door the first time, till I paid and left was excellent!! So thankful to have been referred to u guys! Quality of work is excellent also! I will be sure to recommend to anyone looking for a great place to have their car worked on to u guys!" "Good folks. Honest and competent work." "I would highly encourage them to get their repairs done at Atkins Auto Repair"
"Excellent work and service. Always get good service." "HONEST PEOPLE, HONEST WORK was done on my car. Very helpful, thanks so much." "The staff is very concerned about customer satisfaction. Most of all they earned my trust." "I recommend them all the time to my friends. They are prompt and I feel that my car is in good hands." "My most recent visit was very disappointing. Before I took my vehicle to Atkins, I had to jumpstart my car to get it to start but it was still driveable. However, after taking it to Atkins, it wouldn't start at all - and is now unable to drive. Furthermore, the dashboard next to and under the steering wheel was left broken and not put back correctly." "They are the best - great work, fair prices and honest." "Could not ask for better service!" "The service was great!!! Very honest and trustworthy!!!" "Best service in town, affordable and quality service"
"The people at Atkins are very friendly. I have used their service twice, and both times they did quality work with fast turnaround at a reasonable price. They were able to indentify the problem quickly and kept me informed on the progress of the work. I will certainly use them again and recommend them to anyone." "I've been going to Atkins for years and have always been very satisfied with their work. They do a great job, are fair and honest." "I would absolutely recommend family and friends to take their cars here to Kyle and Neil. They get right on it, they explain what problem they find and give you an estimate so quickly. I wouldn't go anywhere else now. Great customer service and quality workmanship." "Great folks to do business with. They are Christians and very competent and I am very comfortable entrusting my auto repair needs to them." 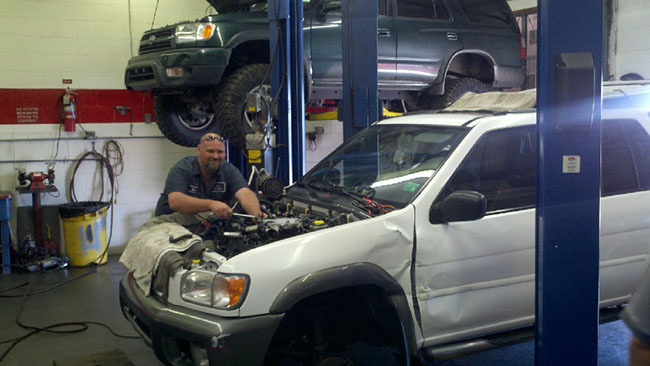 "Kyle, Neil, and Millie make the "repair experience" tolerable because of their knowledge, friendliness, and compency. The quality of work was exceptional. I was kept up to date on the repair progress and cost. The cost was within reason for service performed." "Neal and Kyle both have an exceptional knowledge of automobiles and can diagnose a problem extremely quickly and repair it expeditiously." "I always recommend Atkins to my friends." "They are quick, knowledgeable, and efficient." "I would certainly recommend them. Neal found the problem right away with my AC, the quote Kyle gave me was fair and accurate. Work was completed quickly. I'll definitely be a "return" customer." 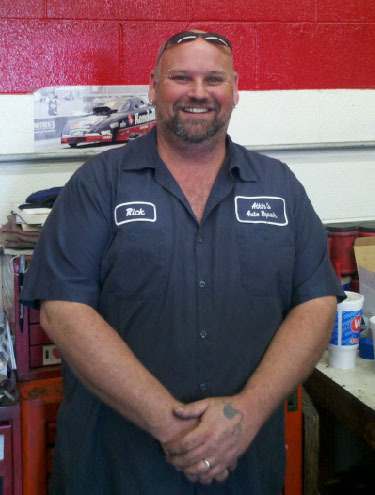 "Kyle and the gang at Atkins Auto Repair are the best! High quality service, honesty and integrity." "I always recommend Atkins to my friends!!" "Trustworthy and quality repair shop. They take care of your car quickly and do good work"
"Very efficient and knowledgeable staff." "Flawless, each and every time. Kyle's been with me through two vehicles and fixes everything right up and is willing to negotiate with you to arrange payment. Recommended to me by a KPD officer in the family so you know you can trust him! I send EVERYONE here for auto repairs." "They are honest and prices are reasonable and the entire staff is terrific!!! It was my first trip to their shop and it definitely will not be my last!! Once again, they are great people to deal with and they treat you like family." "Reasonable prices and they put forth the extra effort." "Reasonable price and Kyle went the extra mile by driving me home and picking me up when the car was ready.."
"Kyle always gets me in within a day or so of me calling. It has been my experience that my car is ready the same day I drop it off. They are friendly and listen to any descriptions or concerns and call me back with what they have found." "Kyle always gets me in for service work within a day or so. It has been my experience that my car is ready the same day I drop it off. They are friendly and listen to any description or concern and call me back with what they have found." "Kyle always gets me in within a day or so, and gets any work done quickly, in my experience, the same day. Everyone there is friendly. I would recommend them to others." "I have repeadedly told friends that need car services about Atkins and will continue to do so." "Kyle and Neal are great. They are friendly, honest, and really know what they're doing. I've had nothing but good experiences with Atkins Auto." "Excellent and friendly service. Knowledgeable and willing to get you back on the road quickly and economically. Really a joy to get to know them." "Excellent service; knowledgeable; very friendly people that are willing to help and get you back on the road quickly and economically." "Knowledgeable and friendly. Quality work, and willing to get me back on the road after I broke down on the interstate in Knoxville. They were recommended to me by another hot rod shop in the area. I'm very glad to have met them!" "Knowledgeable and friendly. Worked me in as I was broken down on the freeway. Obtained a good wrecker for me and got me off the highway quickly. Reasonable prices, good people. Thanks :-)"
"Knowledgeable and friendly. I was traveling and they worked me in. I was also broken down on the freeway and they got me an excellent tow service quickly. Great help at a reasonable price! Thank you:-)"
"The staff is friendly, honest, and stand by their work!" "Top Notch. Very honest. Helpful and friendly." "My car is running great. Thanks." "I highly recommend this shop, I trust their opinion and value their honesty"
"I would highly recommend this shop. I trust their opinion and value their honesty." 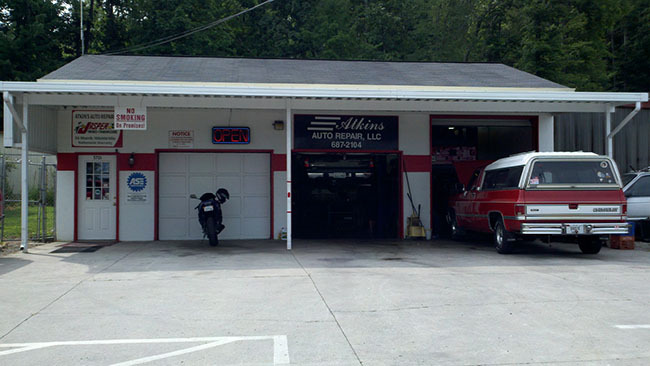 "Atkins provides a small friendly mechanic's shop experience with extremely competent people. One of the few shops I can confidently take my older car with a carburetor." "I have always been very pleased with the work done on my vehicle. Mr. Atkins and all the employees are very friendly and do a great job. 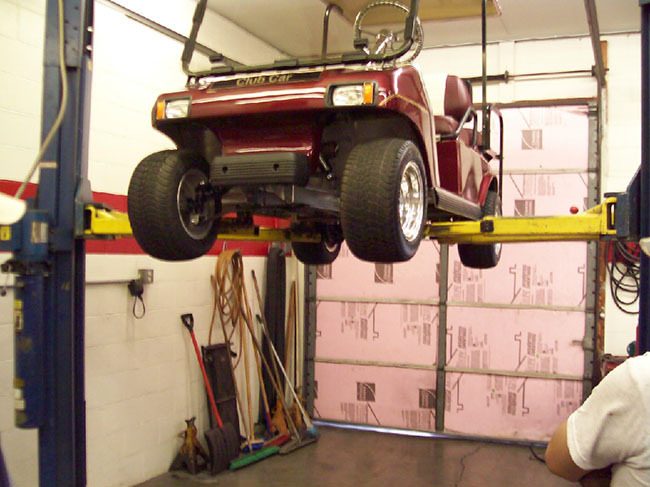 I recommend the facility to anyone I talk to about vehicle care and repair." "excellent service at a better than fair price, great personel"
"Honest service. Maybe not cheapest but dependable with integrity"
"They've given me no reason not to trust them yet (like many mechanics in the past have) so I'll continue to keep using them !!! They are great people that get the job done right & get it done quick." "Great place to do business. Honest folks with good quality work." "REASONABLE, ON TIME, QUALITY SERVICE. HONEST"
"I have been a customer of Kyle's for over 20 years. His work is of the highest quality, and I would recommend his services to anyone looking for an auto repair shop they can trust to get the job done. I give Atkins Auto Repair the highest rating of any auto repair shop that I have ever went to." "Very honest and tries to make sure they do a thorough evaluation." "I guess there is not enough space here for me to sing the praises of Mr. Atkins and staff... My little girl, Valerie, was spending the summer at the river in Newport, and had been experiencing all kinds of trouble with her truck. She had spent an incredible amount of money trying to figure out what the issue was, and even took the pickup to the dealership with out any positive results. I did a search trying to help her find another shop in Knoxville that would really treat her with compassion, and with respect; I found Atkins Auto Repair, and I phoned the shop. After speaking with Mr. Atkins, I knew that we had found the right, and last place for her needs. After the repairs and testing was done, Valerie picked up her vehicle and called me; she had nothing but kind words to describe her experience with this business, and was willing to tell all of her friends about Mr. Atkins ethics and integrity. As I type this, Valerie is on her way home (3 more hours). I have been in contact with her every couple of hours, and she reports, the truck is working like a champ. Thank you, Mr. Atkins... and God bless you!" "I feel I was treated very fairly. The work was done quickly and the cost was very affordable." "Honest, dependable, reasonable rates, no bait/switch, if service/repair not required it will not be done,"
"They do a great job with service and customers." "Exceptional customer service and exceptional quality of service. Very friendly and knowledgable." "Outstanding. There is no other way to describe it. 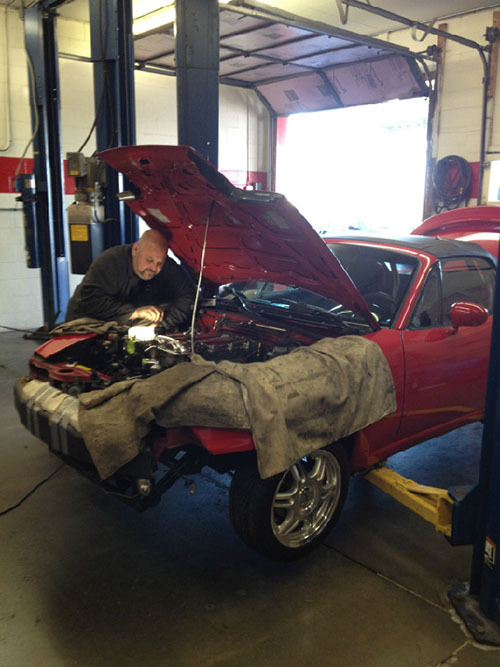 Neil has worked on my cars and i have never had trouble pretaining to the same area of maintenance." "The first and most important thing that comes to mind, especially these days, is TRUST." "My friend recommended this place and I am so happy now that I can have my repairs done and feel good that they are being honest." "Atkins is the only place I have my vehicle work done. I have been using Atkins for almost eleven years. Kyle's integrity, dependability, and service quality are what keep me returning and referring him to others. As a minister, I am careful about who I recommend. I have no hesitancy in referring Kyle for all your car needs." "Atkins Auto Repair is the only place I will ever have my repairs done. They really treat you right and are very reasonable." "I travel with my job and its hard to find someone that wont take advantage of you when they know you'll be gone in a few days. I felt very secure after I left my vehicle with these guys, got a quick response on the estimate, and was fixed in a very timely manner. I was more than happy with the work, the price, and the way my truck runs and drives. Thanks very much Atkins Auto. I wish we had you in Oklahoma too!" "I will always use Atkins Auto for all my vehicle repairs. The service is the best in town and Kyle, Rick,and Neal are knowledgeable and efficient. They look for ways to save their customers from unnecessary charges, unlike so many other places. I recommend them highly to all my friends." "FINALLY!!! There is a repair service that repairs ONLY what is wrong at a reasonable price. I was about ready to buy a bicycle after taking my Toyota Tacoma to the Toyota dealer and then presented with a $1200 repair bill. Atkins is trustworthy and honest. You will never need to call 911 when presented with the bill. If you don't give this gentleman one opportunity to save you money, you will be wasting thousands of dollars with dealers and the guys wearing masks. I have never been so happy with a auto repair service and words will never express and give justice. All work is guaranteed. No guess work; it might be this or it might be that (you know) and something else is done to cure the problem. You will thank me after trying Atkins Auto repair."